eFulfillment Service (EFS) is a leading provider of dependable, affordable and time-saving CD & DVD fulfillment services to media companies and online merchants of all sizes. Whether you’re a self publisher with 1 title, or a large media company with hundreds of titles, EFS offers the award-winning service, expertise and technology to enable fast and easy growth for your business. Looking for an order fulfillment solution that can easily scale? With eFulfillment Service, you pay only for the services that you use, whether you sell 10 DVDs per month, or 10,000. Our friendly terms of service include no minimum order requirements, no setup fees, no integration fees, no long-term contracts, and free packaging. Our pay-as-you-go service model enables CD & DVD sellers to more accurately predict their fulfillment-related expenses, including warehousing, supplies labor and shipping. Our 99.9% accuracy rate allows our clients to rest easy knowing that their orders will arrive to their customers as intended. Our 100% Satisfaction Guarantee ensures that your orders will go out the door quickly, and in the extremely rare event that something goes wrong, we will make it right. 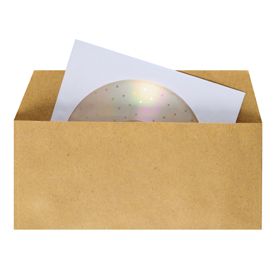 Many CD & DVD sellers move merchandise very quickly, often restocking merchandise and requiring constant visibility over their inventory, orders and shipments. At EFS, we have developed web-based technology that provides you with complete transparency. We integrate our fulfillment software with your selling platform, making it fast and easy for us to receive and process your orders. Many CD & DVD fulfillment companies make it extremely difficult or even impossible to get on the phone with someone. Not at eFulfillment Service. Our company was founded on the principles of honesty, integrity, and world-class service and support. With EFS, you will work directly with your account manager, someone who knows you and your business well. We work with you to coordinate shipments of your CDs and DVDs, including discounts on inbound freight. We work closely throughout the setup phase, making sure you’re comfortable with our staff, processes and technology. We offer both phone and email support, with rapid response times. We listen to our clients, making continual improvements to our operations and technology to best serve their unique needs. Experience CD & DVD fulfillment done right. Get a free fulfillment quote today.